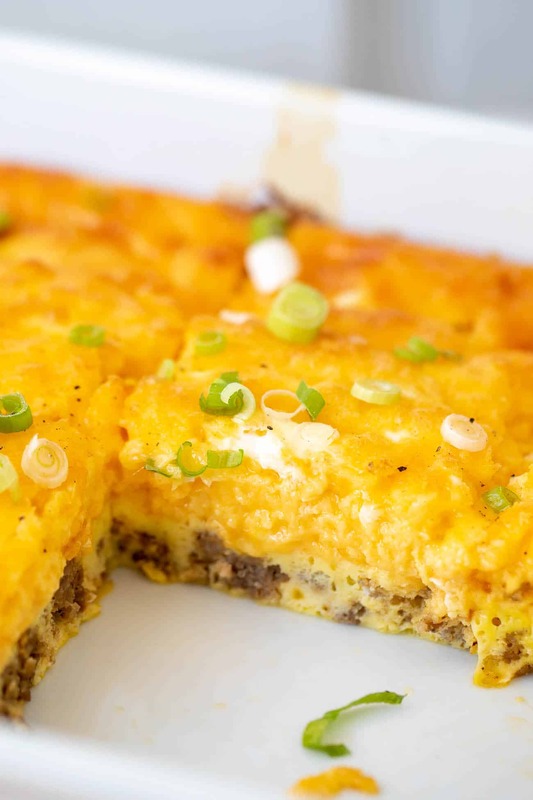 Our simple keto breakfast casserole comes together with just a few basic ingredients. 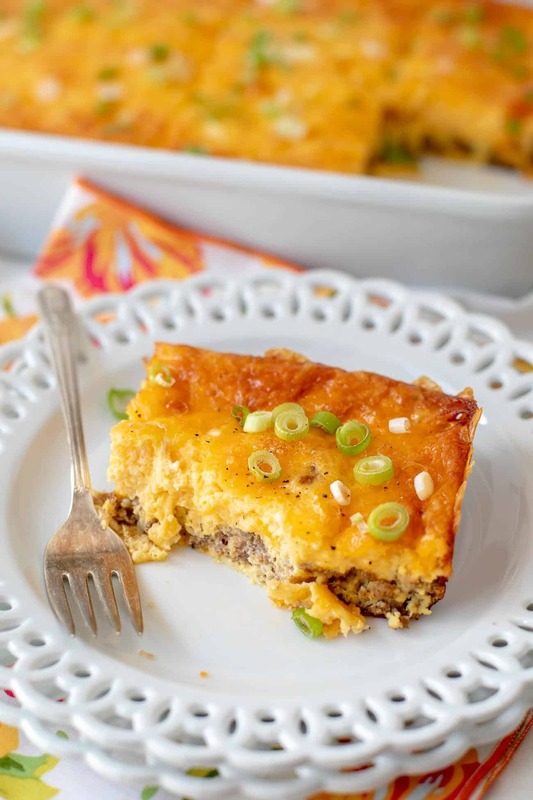 It’s a savory low carb breakfast casserole with egg and sausage that you’ll make again and again. 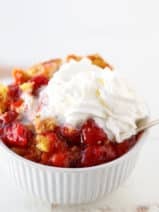 With so many of my friends and family following a keto diet, I wanted to come up with a simple low carb casserole to share with them. 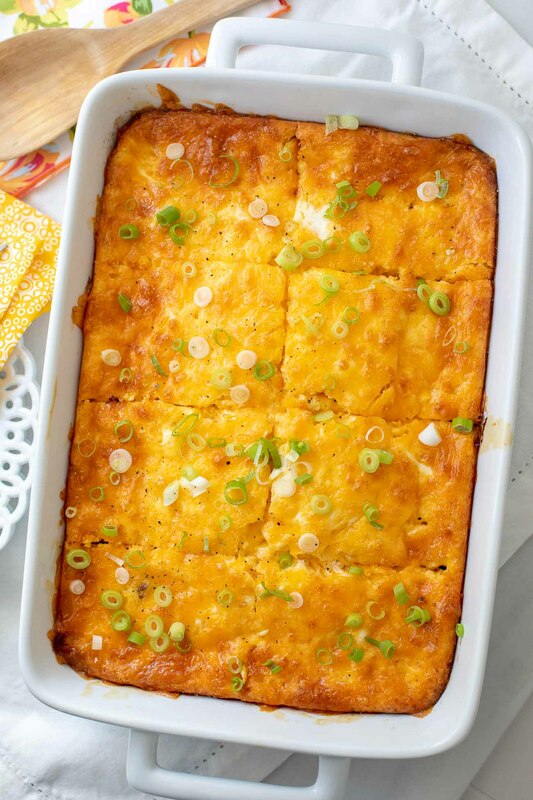 Everyone goes totally nuts for my keto cauliflower casserole, but I wanted to create a dish that would work well as a breakfast, brunch, or even dinner. 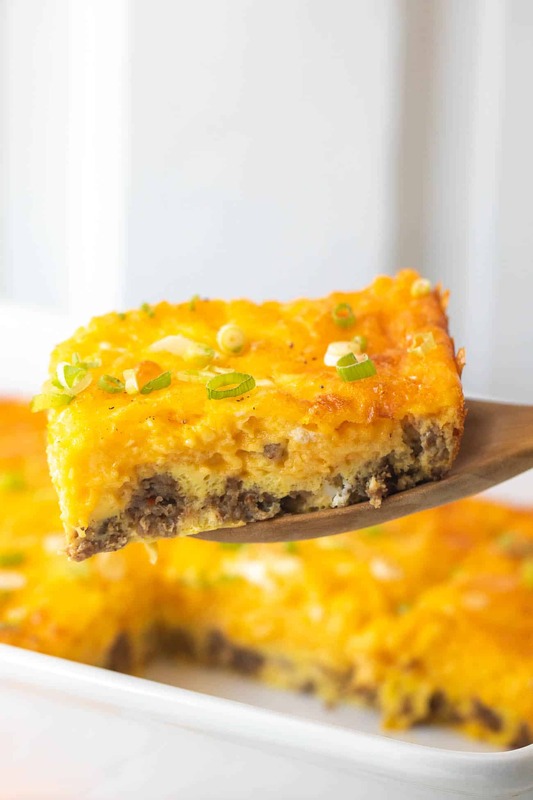 If you’re looking for ketogenic diet recipes, you’re counting carbs, or just LOVE eggs and sausage, this low carb breakfast casserole recipe is for you! 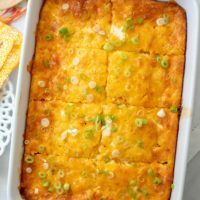 It’s so easy to throw together for a special breakfast or brunch, but we also love this keto breakfast casserole for dinner. It’s so filling and satisfying. 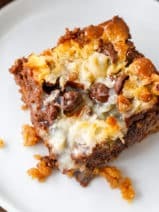 One of the things that I love most about this keto egg and sausage casserole is the short ingredients list. 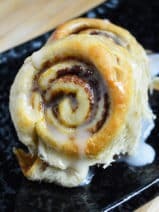 Even though this easy keto breakfast recipe isn’t full of fancy ingredients, it doesn’t lack in flavor. 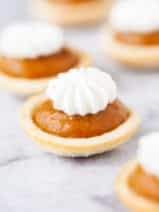 In fact, it’s so yummy that my husband begs me to make this recipe! Here’s what you’ll need on hand to make our scrumptious keto breakfast dish. Now, don’t be scared by the hot sauce! This dish definitely isn’t what I would call spicy or hot in the least. The hot sauce just adds a little touch of flavor to the casserole. It’s the secret ingredient, shhh…! 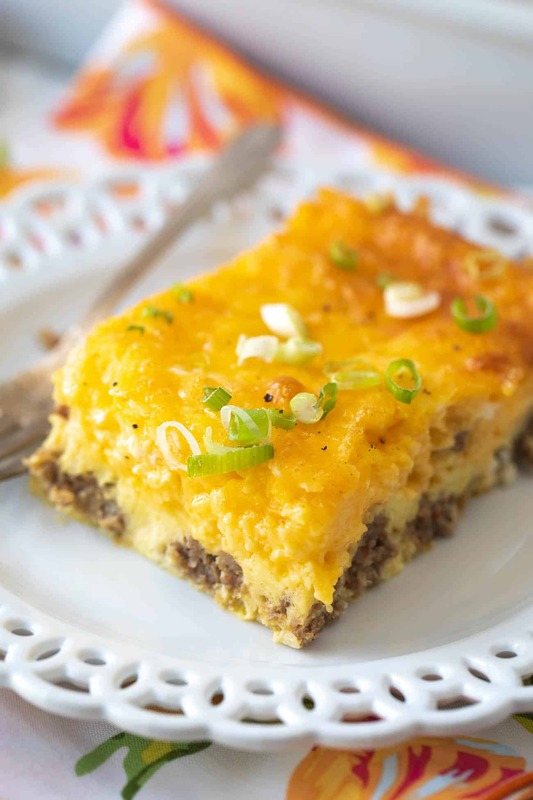 As I mentioned, this keto breakfast casserole also makes a great low carb dinner as well. In fact, we usually have this for dinner. My husband and I are watching our carb intake, but I typically throw a pan of crescent rolls in the oven for the kids to make them happy. 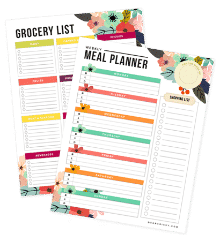 Biscuits or even toast would go great with this if you’re not following a keto lifestyle. 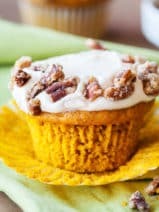 If you’ve read this far and you’re scratching your head every time you see that word keto, here’s an article that explains the basics. When it comes right down to it, this is simply a wonderful recipe. 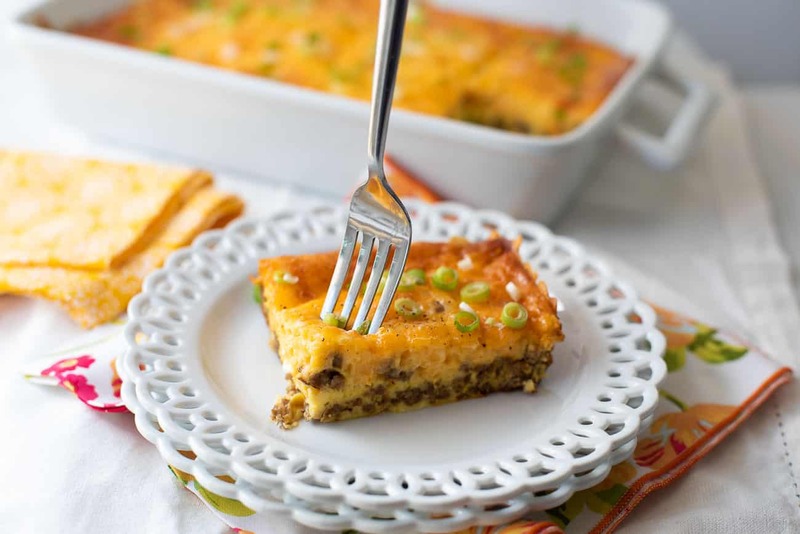 We love to make our low carb breakfast casserole with sausage, but, you could certainly use bacon or diced ham as well. Add some bell peppers, onion, spinach, or sliced tomatoes to up your veggies. 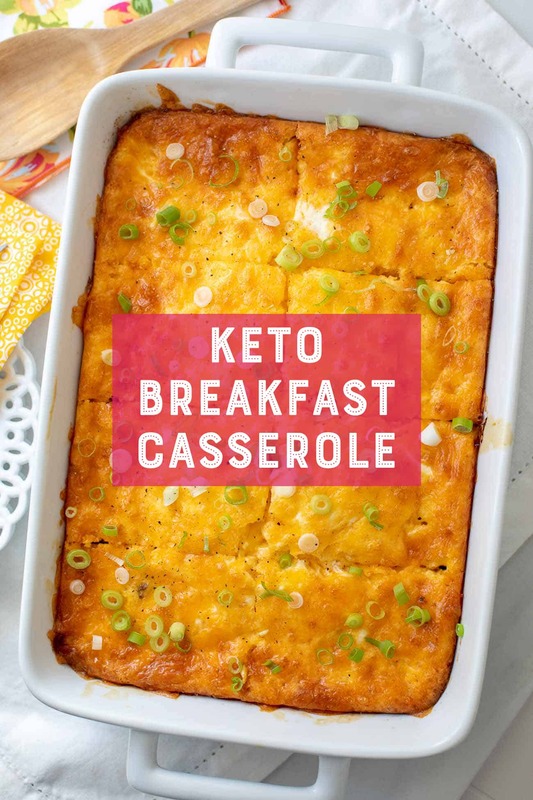 I hope you love my keto breakfast casserole recipe! Be sure to leave a comment below with your results if you decide to try it. We truly appreciate your feedback! 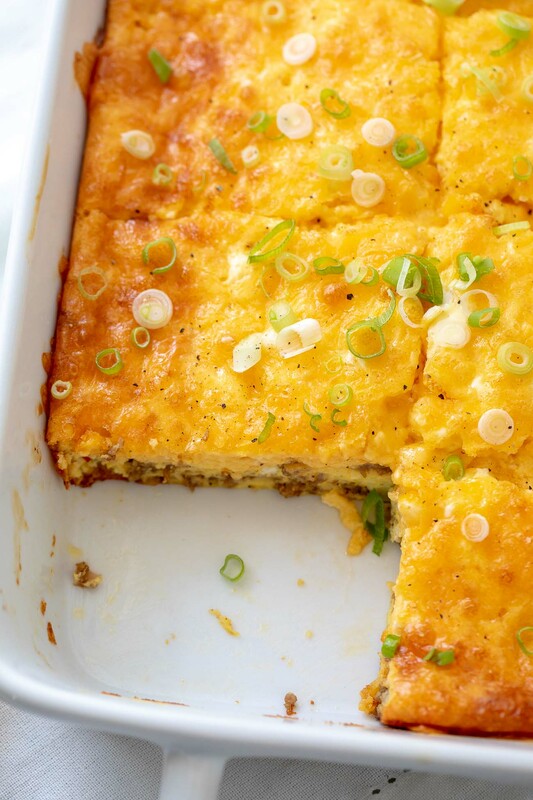 This savory low-carb keto breakfast casserole works well as a breakfast, brunch, or dinner. Heat a large skillet over medium-high heat. Add sausage, breaking meat apart with a wooden spoon, and cook until meat is thoroughly cooked and no longer pink, about 5-7 minutes. Spread the cooked sausage over the bottom of a 9x13-inch casserole dish. Add eggs to a large bowl and whisk. Whisk in the cream, hot sauce, and shredded cheddar cheese. Pour the egg mixture over the sausage and spread evenly. Bake until firm and cooked through, 30 to 40 minutes.